8. 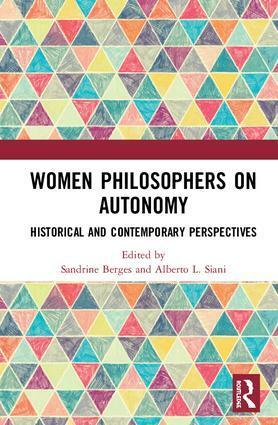 Mary Wollstonecraft’s Contribution to the "Invention of Autonomy"
Alberto L. Siani is a Senior Researcher at the Department of Civilizations and Forms of Knowledge at Università di Pisa, after being an Associate Professor of Philosophy at Yeditepe University, Istanbul. Among others, he published Morte dell’arte, libertà del soggetto. Attualità di Hegel (2017), and edited L’estetica di Hegel (2014, with Mario Farina).